The main function of shower soap is to clean the body by removing dirt caused by pollution as well as dead skin cells. It must also be able to reduce the excess of oil and sweat. In addition, in terms of the product characteristics, it must have an optimum viscosity, not irritate the skin, generate a type of foam that is easy to rinse, and have a pH close to 5.5, which is the skins natural pH. 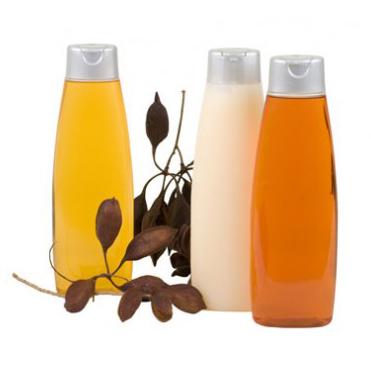 - Special additives as well as perfume, colouring agents and preservatives. The components and their respective proportions may vary depending on the manufacturer. The production process starts by introducing the surfactants and the demineralized water into the blender, and heating if necessary. 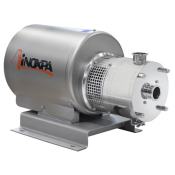 Agitation should be carried out for as long as necessary, with the inline mixer running. Sodium chloride is then added to control viscosity. 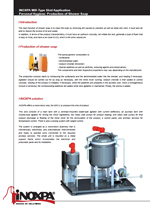 Cooling of the product is initiated, if necessary, while the additives are prepared in the auxiliary skid. Once a homogeneous mixture is achieved, the corresponding additives are added while slow agitation is maintained. Finally, the aroma is added. INOXPA offers a mono-block skid, the MIX-3, to produce this kind of product. This skid consists of a main tank with a centrally-mounted blade-type agitator with current deflectors, an auxiliary tank with Cowles-type agitator for mixing the minor ingredients, two rotary lobe pumps for product loading, one rotary lobe pumps for final product discharge or feeding of the inline mixer for the recirculation of the product, a control panel, and ancillary services for temperature control. There is also a dosing system with weight control. 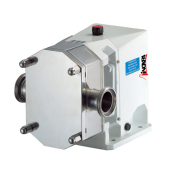 The system is arranged as a mono-block assembly that is mechanically, electrically, and pneumatically interconnected and ready to operate once connected to the required ancillary services. The whole unit is mounted on a metal support frame which incorporates the electrical and pneumatic panel and its installation.